Picking up from where The Facts about Workplace Violence (Pt. 2) left off, below we will continue to spotlight some eye-opening information about occupational violence in the U.S. 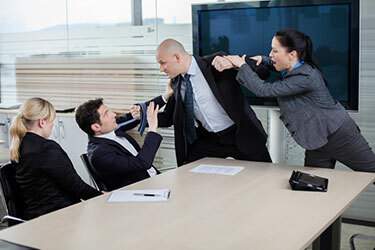 While workplace violence often results in physical harm or injuries, it can also occur when people are the targets of intimidation, harassment or other types of verbally threatening behavior in the workplace. Occupational violence doesn’t just target the employees of a workplace. It can also occur when the customers or clients of a business are subjected to violence or threats of violence. While homicide is the fourth leading cause of workplace fatalities in the U.S., it is the number one cause of death in the workplace for American women. Occupational Violence: Which Workers Have the Greatest Risk? Any workers who exchange money with the public. For some important information on what can be done to reduce the incidence of occupational violence in the U.S., be sure to check out the upcoming conclusion to this blog. Have you been injured at work? If so, Denver Workers’ Compensation Attorney Jennifer Bisset wants you to know that she is here to aggressively advocate your rights and help you obtain the benefits you need and deserve. All of the experienced legal professionals at the Bisset Law Firm are dedicated to providing each of our clients with the highest quality legal representation, keeping each of our clients informed and in the loop at every stage of their cases and, ultimately, helping them obtain the best possible results for their cases. Help you secure the maximum possible compensation for your injuries and losses.